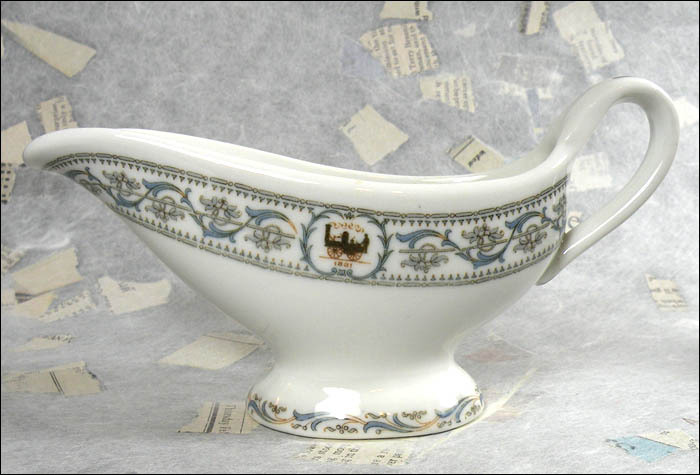 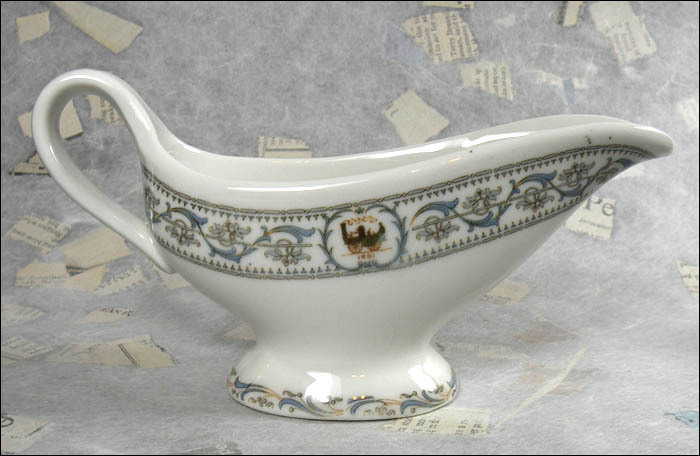 This handsome gravy boat was special ordered by New York Central Railroad for use in its dining cars, specifically to commemorate the centennial of the Mohawk and Hudson Railroad’s charter, NYC’s original line. 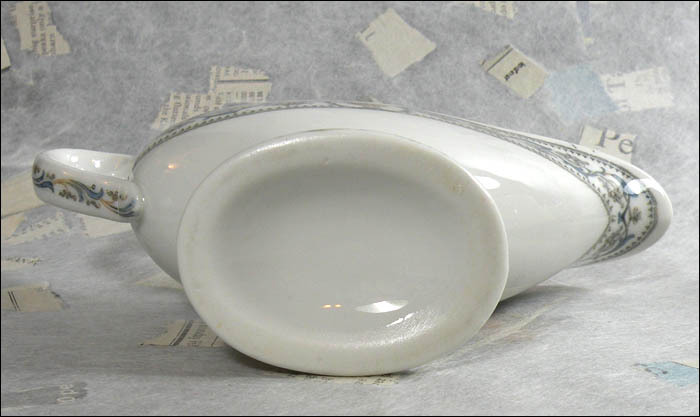 Though the foot on this piece was too small for a backstamp, it would have been made by either Buffalo or Syracuse circa 1925-1951. The boat is about 6 1/8” wide by 3” high. 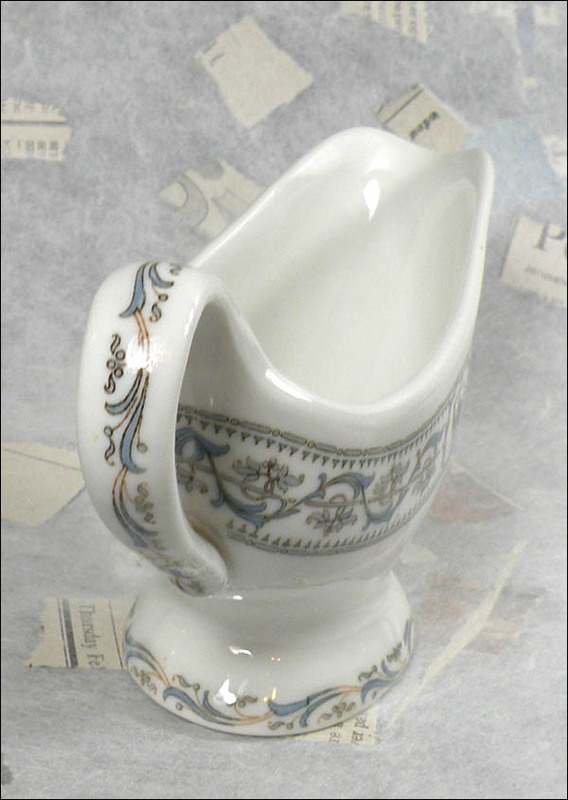 A hard-to-find shape in this pattern, it is in excellent condition with just a couple of extra spots of color on the rim near the spout, made during production.